Here are the first 5 on the list — click below and get the full list! 1. HR Bartender is run by author and HR pro Sharlyn Lauby, with frequent updates on timely issues. Like any good bartender, Lauby weighs in on the issues of the day and promotes conversation among a lively group of commenters. 2. The HR Capitalist is the blog of HR pro Kris Dunn, who has built a following with a mix of great, timely information and his fun blogger personality. 3. SHRM (the Society for Human Resource Management) is a great source of information for all HR professionals. The site has up-to-date information, surveys, and more to keep busy professionals in the loop with the latest issues in hiring. 4. Tribe HR is a great blog to find detailed posts about everything from hiring to maintaining a good workplace culture. 5. ERE.net is one of the best blogs when it comes to thought-provoking, timely content focused on the issues facing human resources professionals. Not only is ERE a top blog with quality content, it also has a dedicated base of great commenters bringing their own knowledge to the table. 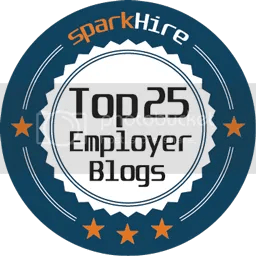 Spark Hire’s Top 25 Must Read Blogs for Employers – Spark Hire. Be a Mentor. Find a Mentor. The Missing Piece – Have a Plan! I read this great article this evening, The 3 Career Mentors Everyone Should Have and it reminded me how important it is to take and participate in active mentoring. 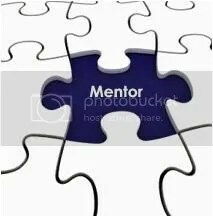 I’ve found that the last couple of years, I’ve worn the hat of “mentor” — but I really need to get back into being the “mentee.” I just haven’t found the right mentor — well that’s the lie I tell myself. Truthfully, I haven’t been looking. I attended #SHRM12 last month in Atlanta, GA and this article immediately reminded me of the opening conference speech by Condoleezza Rice. She spoke on many topics and I gained TONS of nuggets of wisdom. She spoke specifically on mentoring and said, “If you’re waiting to find a mentor who looks like you, you may be waiting a long time.” I LOVE that sentiment because it drives empowerment and ownership in your career. That kind of talk really speaks to me. It moved me to action and I wanted to find some “new” mentors! But when I went back to my office, I fizzled out a bit about “WHO” to start a mentoring relationship with. The great thing about the tips in this article is that it helps to gives guidance around finding a mentor for both short and longer term goals and while many may find that it has more of a professional slant — mentoring – mentee relationships don’t always have to be about the workplace. They may revolve around an activity, an attribute you like in someone else that you want to develop, or a subject/area that you want to get to know more about — and probably a dozen more reasons. Take charge of your career and development! You’re in the driver seat! Drive your career and development! Find someone to mentor you! And find someone to mentor! Spend the rest of the month of July coming up with your requirements (PM talk for what do you need to get out of a mentoring relationship) and then come up with your plan and identify some resources. And focus on August to get something started — many of us have just completed mid year performance reviews or assessments — career and development are top of mind! I’m re-energized and back on track! Join me!